The study published in Psychoneuroendocrinology establishes a metabolic chain reaction that starts with low inhibition, aka attention control, which leaves a person vulnerable to tempting or distracting information, objects, thoughts or activities. Previous studies have shown that such vulnerability can lead to more frequent anxiety, and anxiety is known to activate a metabolic pathway responsible for the production of pro-inflammatory cytokines, signaling proteins that include interleukin-6 (IL-6). Along with cognitive tests that measured attention control, the Rice study measured levels of both blood glucose and IL-6 in more than 800 adults. IL-6 is a protein the body produces to stimulate immune response and healing. It is a biomarker of acute and chronic stress that also has been associated with a greater likelihood of diabetes and high blood glucose. The research showed individuals with low inhibition were more likely to have diabetes than those with high inhibition due to the pathway from high anxiety to IL-6. The results were the same no matter how subjects performed on other cognitive tests, like those for memory and problem-solving. Researchers have suspected a link between anxiety and poor health, including diabetes, for many years but none have detailed the biological pathway responsible, said lead author Kyle Murdock, a postdoctoral research fellow in psychology. 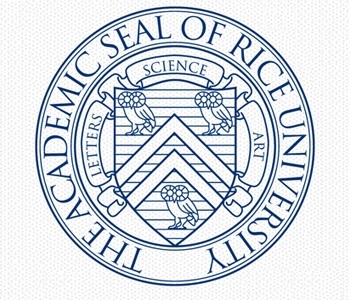 He said the Rice study takes a deeper look at how inflammation bridges the two. “The literature shows individuals with poor inhibition are more likely to experience stressful thoughts and have a harder time breaking their attention away from them,” Murdock said. “That made me wonder if there’s a stress-induced pathway that could link inhibition with inflammation and the diseases we’re interested in, such as diabetes. Murdock works in the Rice lab of Christopher Fagundes, assistant professor of psychology. The Fagundes lab investigates processes that happen along the border of psychology and physiology, and how those processes affect overall health and potential treatments. The data came from a Midlife Development in the United States study of 1,255 middle-aged adults whose cognitive abilities were tested two years apart. More than 800 of those also underwent blood tests to check IL-6 and glucose levels. The Rice researchers found not only the positive link between inhibition and diabetes, but the absence of a link between other cognitive functions and the disease. They also determined that the pathway only went in one direction: Inflammation never appeared to affect inhibition. Murdock said a year as a clinical psychology intern at the Oregon Health and Science University, where he studied with co-author and psychologist Danny Duke, led the researchers to think there could also be a feedback loop at play in those with diabetes. “Individuals who are anxious are more likely to avoid treatment and use maladaptive strategies (like smoking or unhealthy diets) that enhance their blood glucose, which is problematic. It’s a snowball effect: The further they go, the worse it gets,” he said. The researchers listed several possible interventions, including mindfulness therapy, stimulant or anti-inflammatory medications and cognitive behavioral therapy. “Research shows that people who practice mindfulness do better on the inhibition tests over time,” Murdock said, suggesting that shifting one’s attention away from stressful thoughts may affect physiological responses. Co-authors of the paper are Angie LeRoy, a Rice staff member and a graduate student at the University of Houston; and Tamara Lacourt, a postdoctoral researcher, and Cobi Heijnen, a professor of symptom research at the University of Texas MD Anderson Cancer Center. 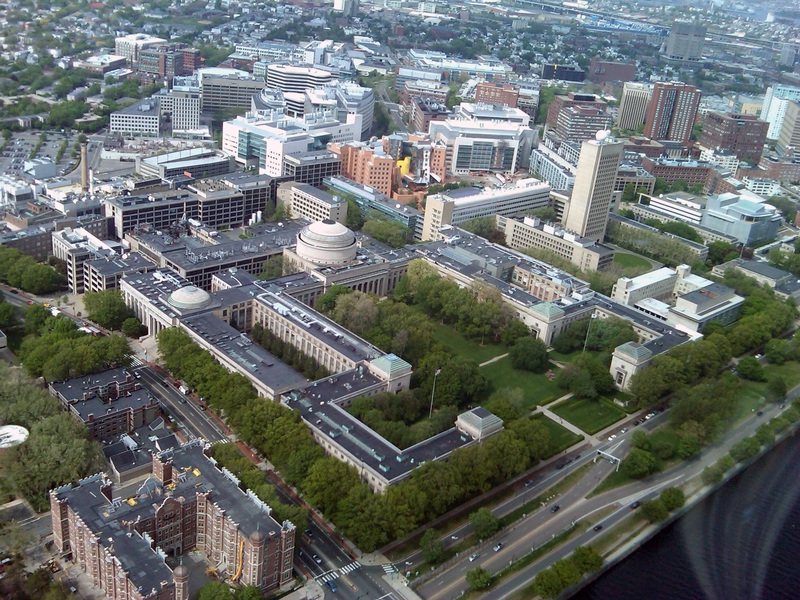 The National Institute on Aging and the National Heart, Lung and Blood Institute supported the research. 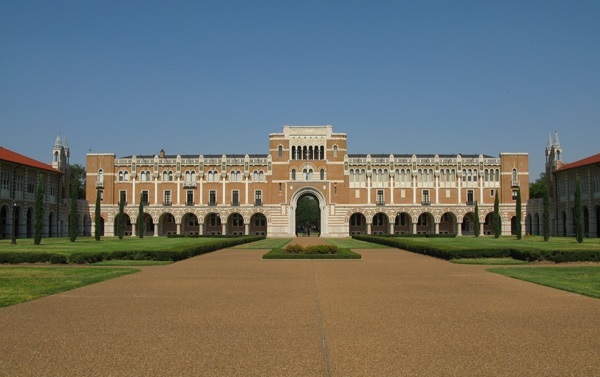 Rice University scientists mix up a new type of flexible composite. An adaptive material invented at Rice University combines self-healing and reversible self-stiffening properties. The Rice material called SAC (for self-adaptive composite) consists of what amounts to sticky, micron-scale rubber balls that form a solid matrix. The researchers made SAC by mixing two polymers and a solvent that evaporates when heated, leaving a porous mass of gooey spheres. When cracked, the matrix quickly heals, over and over. And like a sponge, it returns to its original form after compression. watch and download the mp4 video here . The labs of Rice materials scientists Pulickel Ajayan and Jun Lou led the study that appears in the American Chemical Society journal ACS Applied Materials and Interfaces. They suggested SAC may be a useful biocompatible material for tissue engineering or a lightweight, defect-tolerant structural component. In SAC, tiny spheres of polyvinylidene fluoride (PVDF) encapsulate much of the liquid. The viscous polydimethylsiloxane (PDMS) further coats the entire surface. The spheres are extremely resilient, Lou said, as their thin shells deform easily. Their liquid contents enhance their viscoelasticity, a measure of their ability to absorb the strain and return to their original state, while the coatings keep the spheres together. The spheres also have the freedom to slide past each other when compressed, but remain attached. Ajayan said making SAC is simple, and the process can be tuned – a little more liquid or a little more solid — to regulate the product’s mechanical behavior. The polymer components begin as powder and viscous liquid, said Dong. With the addition of a solvent and controlled heating, the PDMS stabilizes into solid spheres that provide the reconfigurable internal structure. In tests, Rice scientists found a maximum of 683 percent increase in the material’s storage modulus – a size-independent parameter used to characterize self-stiffening behavior. This is much larger than that reported for solid composites and other materials, they said. Co-authors are Rice postdoctoral researchers Bo Li, Yingchao Yang, Hua Guo, Liehui Ge and Liang Hong; graduate student Sidong Lei; undergraduate students Bilan Yang and Qizhong Wang; alumnus Phillip Loya; Emilie Ringe, an assistant professor of materials science and nanoengineering and of chemistry; Robert Vajtai, a senior faculty fellow in materials science and nanoengineering, and Ming Tang, an assistant professor of materials science and nanoengineering; Mircea Chipara, an assistant professor of physics and geology at the University of Texas-Pan American, and postdoctoral researchers Gustavo Brunetto and Leonardo Machado and Douglas Galvao, a professor at the State University of Campinas, Brazil. Ajayan is chair of Rice’s Department of Materials Science and NanoEngineering, the Benjamin M. and Mary Greenwood Anderson Professor in Engineering and a professor of chemistry. Lou is a professor of materials science and nanoengineering and of chemistry and associate chair of the Department of Materials Science and NanoEngineering. Every summer in Sierra Leone, people face two months of hunger when stocks of rice run dry and prices escalate. Professor Tavneet Suri conducted a randomized experiment on the economics of a new high-yield rice to learn more about addressing this glaring issue. She found the hunger season could potentially be shortened, and yields increased for the adopters of this technology, mitigating the adverse effects of this lengthy period of starvation. 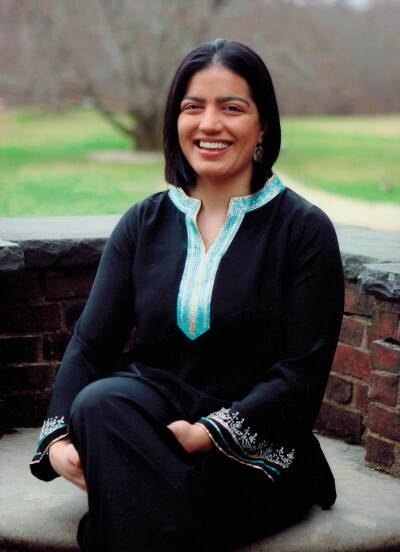 Suri, a development economist and the Maurice F. Strong Career Development Professor in Applied Economics at MIT Sloan, serves as scientific director for Africa in the Abdul Latif Jameel Poverty Action Lab (J-PAL) and co-chair of the J-PAL Agriculture program. She and J-PAL executive director Rachel Glennerster conducted an experiment—designed like a clinical trial in medicine—which tested the adoption and impact of a new kind of rice known as NERICA (New Rice for Africa). NERICA combines the high-yield properties of Asian rice with the resilience of African rice, which is known for resistance to drought and disease. The experiment tested mechanisms that could encourage farmers to try NERICA, such as subsidies to purchase seed, training in new cultivation methods, and information about how its adoption might affect agricultural and health outcomes. “Initially we thought NERICA’s shorter growing season could produce two rice harvests, or that a higher yield would give farmers more rice to sell and increase their overall economic situation,” Suri says. “But that was not quite the case. We found instead a profoundly simple outcome. The duration from planting to harvest decreased from 130 days for traditional rice, to 100 days for NERICA. By coming in four weeks earlier and producing a higher yield, the hunger season was reduced. Families had more food, they could eat more consistently through the year, and their children’s nutrition improved. Suri’s research takes her across Africa, from Sierra Leone to Rwanda and Kenya. A fourth- generation Kenyan, Suri returned to her home country to conduct a credit experiment there, exploring creative ways to help dairy farmers obtain credit to purchase water storage tanks. Storing rainwater in tanks is the best way to have a reliable supply of fresh, clean water for dairy cows during the dry season. But the storage tanks are expensive and farmers cannot afford them without a loan. Pondering new ways to provide credit, Suri had a eureka moment: she would test an asset-collateralized loan, using the tank itself as collateral. If a farmer falls behind on payments, the tank is repossessed. While this credit model is common in the US, for car loans and mortgages, it is almost unheard of in Kenya. “Many more farmers purchased tanks; only one tank out of almost 1,000 was repossessed,” reports Suri. “With a more consistent water supply, cows did not get dehydrated and were healthier. But the effects did not end there. We saw an increase in school enrollment for girls, as they no longer had to spend long days fetching water for the household. Researchers at Rice University and University of Texas MD Anderson Cancer Center have developed a way to mimic the conditions under which cancer tumors grow in bones. By placing cancer cells in a three-dimensional scaffold and subjecting them to the forces that push, pull and continually flow through the body, the researchers are better able to test the efficiency of cancer-fighting drugs. The scientists discovered that bone tumors exposed to normal forces express more of a protein, insulin-like growth factor-1 (IGF-1), than detected in static cultures. The IGF-1 signaling pathway plays a critical role in resistance to current chemotherapy. The experiments were performed in a custom-made bioreactor by the Rice lab of bioengineer Antonios Mikos in collaboration with the MD Anderson lab of Joseph Ludwig. 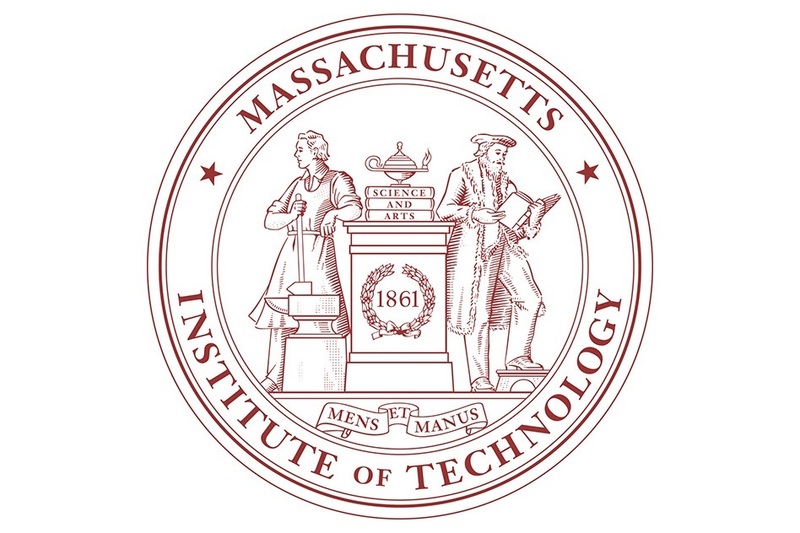 The study detailed this week in the Proceedings of the National Academy of Sciences shows the value of incorporating mechanical forces when modeling tumors and treatments as opposed to analyzing tumor growth statically, said lead author Marco Santoro, a chemical and biomolecular engineering graduate student of Mikos. 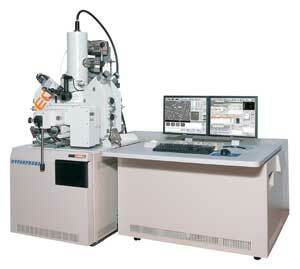 Mikos and his team specialize in materials and strategies for tissue engineering and regenerative medicine. As part of that work, they have created foam-like materials that serve as scaffolds for cells to inhabit and grow into as they become new bone or tissue. That material provided an opportunity for the latest experiments at Rice’s BioScience Research Collaborative on bone tumor samples called sarcomas provided by MD Anderson. Sarcoma tumors, also a focus of the Mikos lab, are most often found in the bones of adolescents and young adults. The researchers placed sarcoma cells in their porous, biologically inert scaffold and put the scaffold inside a flow perfusion bioreactor to mimic the stimulation those cells would experience amid the tissue inside real bone. They subjected the cells to biomechanical stimuli, including shear stress, by changing the fluid viscosity and flow rate. Over 10 days they found the steady flow of fluid through the scaffold prompted the sarcoma cells to proliferate throughout the structure. The higher shear stress helped the cells significantly increase their production of the IGF-1 protein and also down-regulated the production of two other cancer-related proteins, c-KIT and HER2, compared with static tests. They also discovered that adjusting parameters in the bioreactor influenced the cells’ sensitivity to Dalotuzumab, a drug that disrupts the IGF-1 pathway. Higher shear stress appeared to decrease the drug’s effectiveness due to the associated increase in IGF-1 production. Co-authors of the paper are senior research scientist Salah-Eddine Lamhamedi-Cherradi and researcher Brian Menegaz, both at the University of Texas MD Anderson Cancer Center. Mikos is the Louis Calder Professor of Bioengineering and Chemical and Biomolecular Engineering at Rice. Ludwig is an associate professor of sarcoma medical oncology at MD Anderson. 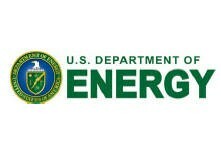 MD Anderson Cancer Center and the National Institutes of Health supported the research. Rice serves as the staple food for more than half of the world’s population, but it’s also the one of the largest manmade sources of atmospheric methane, a potent greenhouse gas. Now, with the addition of a single gene, rice can be cultivated to emit virtually no methane from its paddies during growth. It also packs much more of the plant’s desired properties, such as starch for a richer food source and biomass for energy production, according to a study in Nature. In addition to a near elimination of greenhouse gases associated with its growth, SUSIBA2 rice produces substantially more grains for a richer food source. The new strain is shown here (right) compared to the study’s control. With their warm, waterlogged soils, rice paddies contribute up to 17 percent of global methane emissions, the equivalent of about 100 million tons each year. While this represents a much smaller percentage of overall greenhouse gases than carbon dioxide, methane is about 20 times more effective at trapping heat. SUSIBA2 rice, as the new strain is dubbed, is the first high-starch, low-methane rice that could offer a significant and sustainable solution. Researchers created SUSIBA2 rice by introducing a single gene from barley into common rice, resulting in a plant that can better feed its grains, stems and leaves while starving off methane-producing microbes in the soil. The results, which appear in the July 30 print edition of Nature and online, represent a culmination of more than a decade of work by researchers in three countries, including Christer Jansson, director of plant sciences at the Department of Energy’s Pacific Northwest National Laboratory and EMSL, DOE’s Environmental Molecular Sciences Laboratory. Jansson and colleagues hypothesized the concept while at the Swedish University of Agricultural Sciences and carried out ongoing studies at the university and with colleagues at China’s Fujian Academy of Agricultural Sciences and Hunan Agricultural University. During photosynthesis, carbon dioxide is absorbed and converts to sugars to feed or be stored in various parts of the plant. Researchers have long sought to better understand and control this process to coax out desired characteristics of the plant. Funneling more carbon to the seeds in rice results in a plumper, starchier grain. Similarly, carbon and resulting sugars channeled to stems and leaves increases their mass and creates more plant biomass, a bioenergy feedstock. In early work in Sweden, Jansson and his team investigated how distribution of sugars in plants could be controlled by a special protein called a transcription factor, which binds to certain genes and turns them on or off. 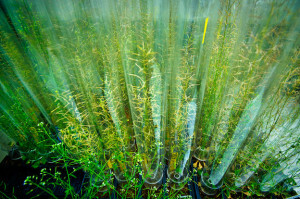 “By controlling where the transcription factor is produced, we can then dictate where in a plant the carbon — and resulting sugars — accumulate,” Jansson said. 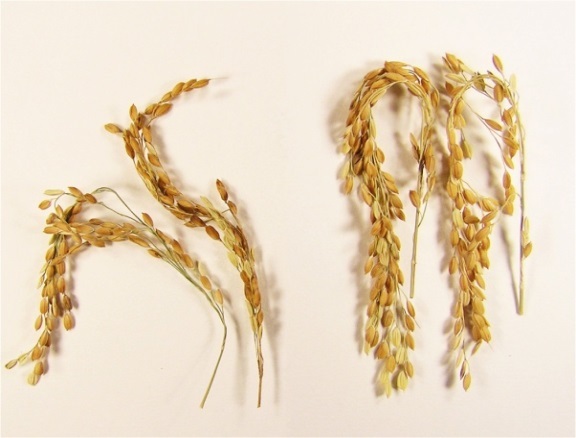 To narrow down the mass of gene contenders, the team started with grains of barley that were high in starch, then identified genes within that were highly active. The activity of each gene then was analyzed in an attempt to find the specific transcription factor responsible for regulating the conversion of sugar to starch in the above-ground portions of the plant, primarily the grains. Upon discovery of the transcription factor SUSIBA2, for SUgar SIgnaling in BArley 2, further investigation revealed it was a type known as a master regulator. Master regulators control several genes and processes in metabolic or regulatory pathways. As such, SUSIBA2 had the ability to direct the majority of carbon to the grains and leaves, and essentially cut off the supply to the roots and soil where certain microbes consume and convert it to methane. Researchers introduced SUSIBA2 into a common variety of rice and tested its performance against a non-modified version of the same strain. Over three years of field studies in China, researchers consistently demonstrated that SUSIBA2 delivered increased crop yields and a near elimination of methane emissions. Jansson will continue his work with SUSIBA2 this fall to further investigate the mechanisms involved with the allocation of carbon using mass spectrometry and imaging capabilities at EMSL. Jansson and collaborators also want to analyze how roots and microbial communities interact to gain a more holistic understanding of any impacts a decrease in methane-producing bacteria may have. Funding for this research was provided by The Swedish University of Agricultural Sciences, the Swedish Research Council for Environment, Agricultural Sciences and Spatial Planning, the National Natural Science Foundation of China and the Carl Tryggers Foundation. 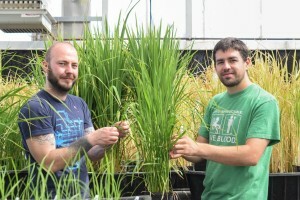 A bacterial signal that when recognized by rice plants enables the plants to resist a devastating blight disease has been identified by a multi-national team of researchers led by scientists with the U.S. Department of Energy (DOE)’s Joint BioEnergy Institute (JBEI) and the University of California (UC) Davis. The research team discovered that a tyrosine-sulfated bacterial protein called “RaxX,” activates the rice immune receptor protein called “XA21.” This activation triggers an immune response against Xanthomonas oryzaepv.oryzae (Xoo), a pathogen that causes bacterial blight, a serious disease of rice crops. Rice is a staple food for half the world’s population and a model plant for perennial grasses, such as Miscanthus and switchgrass, which are prime feedstock candidates for the production of clean, green and renewable cellulosic biofuels. Just as bacterial blight poses a major threat to rice crops, bacterial infections of grass-type fuel plants could present major problems for the future production of advanced biofuels. However, the mechanisms by which bacteria infect such grasses is poorly understood. Most plants and many animals can only defend themselves against a given disease if they carry specialized immune receptors that sense the invading pathogen behind the disease. 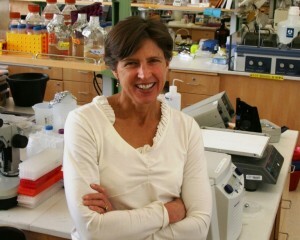 In 2009, Ronald and her group identified a small bacterial protein they named “Ax21” as the molecular key that binds to the XA21 receptor to activate a rice plant’s immune response. Diligent follow-up research by her group led to Ronald retracting these results and continuing the search for the true key. To uncover the true XA21 activator, Ronald and her collaborators studied mutations around an operon known as “RaxSTAB.” Operons are small groups of genes with related functions that are co-transcribed in a single strand of messenger RNA. In addition to its implications for future grass-type biofuel feedstocks, the revelation of RaxX as the bacterial molecule that triggers the XA21-mediated immune response also holds important implications for the worldwide supply of rice. The research team has shown that a number of strains of the blight bacteria can evade XA21-mediated immunity because they encode a variant of raxX alleles. Schwessinger also notes that several major human diseases involve tyrosine-sulfated proteins, including HIV. However the precise role of tyrosine sulfation in receptor binding and cell invasion is not understood. This research was supported by both the DOE Office of Science, the National Institutes of Health, and the Human Frontier Science Program. In addition to Ronald, Schwessinger and Pruitt, other co-authors of the Science Advances paper were Anna Joe, Nicholas Thomas, Furong Liu, Markus Albert, Michelle Robinson, Leanne Chan, Dee Dee Luu, Huamin Chen, Ofir Bahar, Arsalan Daudi, David De Vleesschauwer, Daniel Caddell,Weiguo Zhang, Xiuxiang Zhao, Xiang Li, Joshua Heazlewood, Deling Ruan, Dipali Majumder, Mawsheng Chern, Hubert Kalbacher, Samriti Midha, Prabhu Patil, Ramesh Sonti, Christopher Petzold, Chang Liu, Jennifer Brodbelt and Georg Felix.